Pilots have always been the smooth-faced operators of the air, but a recent study from SFU debunked the myth that respirators need a hair free surface to work effectively. Pilots have always been the smooth-faced operators of the air, but a recent study from B.C. 's Simon Fraser University debunked the myth that respirators need a hair free surface to work effectively. Air Canada has now changed its policy on facial hair for aircrew to allow neatly trimmed beards with a maximum length of 1.25 centimetres. Historically, the belief was that in the case of an in-flight emergency, a clean shaven face was necessary to ensure the proper seal of an oxygen-supply mask. 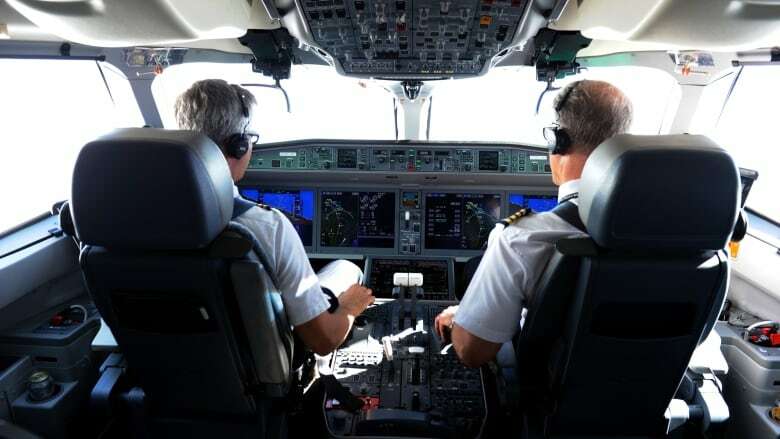 Air Canada commissioned a team from the university to test the efficacy of respirators on bearded pilots after receiving an application from an experienced pilot who is Sikh. "They were Sikh and were not going to be clean shaven. That brought up the question to Air Canada that is this policy still a valid policy or is it just a carry-over from the old days," said Sherri Ferguson, director of SFU's Environmental Medicine and Physiology Unit and head of the study. Ferguson had been contacted a year before they began the study by another Sikh pilot who said his career was being impacted by restrictions on what aircraft he was able to fly because of his beard. "We had designed how to do this study previously when he had contacted us ... so It was something we had already thought about," she said. All they needed was the funding to move forward. So, when the airline contacted them, they began testing right away. In the fall of 2016, they placed participants with facial hair ranging from stubble to beards grown to waist-length in a chamber where they simulated altitudes from 10,000 to 25,000 feet above sea level. The men wore two different models of mask supplied by Air Canada while researchers monitored their blood oxygen saturation levels and tested respirators for protection against carbon monoxide or toxic fumes in the case of smoke in the cabin. "It was 100 per cent success," she said. "We had no one fail the study, regardless of beard length." Ferguson is hopeful more research will be done on the topic with a larger group of participants and more mask designs. "I think it's a start. It's opening the door. We hope to see more research done and be able to allow people for religious reasons who may have longer beards than that, and it's not just a fashion statement, be allowed to progress in their careers," she said. The Canadian Armed Forces and a smaller carrier, North Cariboo Air, have contacted Ferguson requesting the data to consider changing their own policy.